WIP: Manly Aran | Stitch, Brinn, Stitch! This is going to be something of a short point as I’m currently dealing with some things (someone close to me in in the hospital). I can’t really get into it, but suffice it to say I don’t really have the brain space for anything except sleeping. I am knitting a little though. 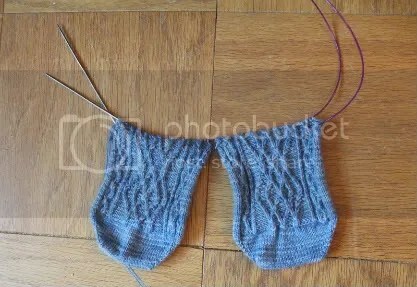 I started these socks last week before all of this sort of exploded (before Thursday) and had/have been making pretty good progress. They’re not hard, which is good cause I can’t really do hard right now. More on the socks later when everything has gotten back to normal.